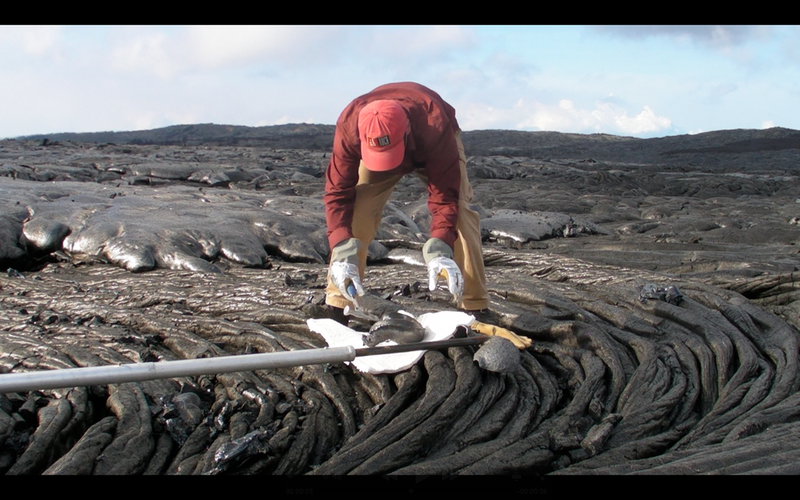 Danny with his crew casting lava directly from a flow on Volcano Pacaya, Guatemala. 2010. 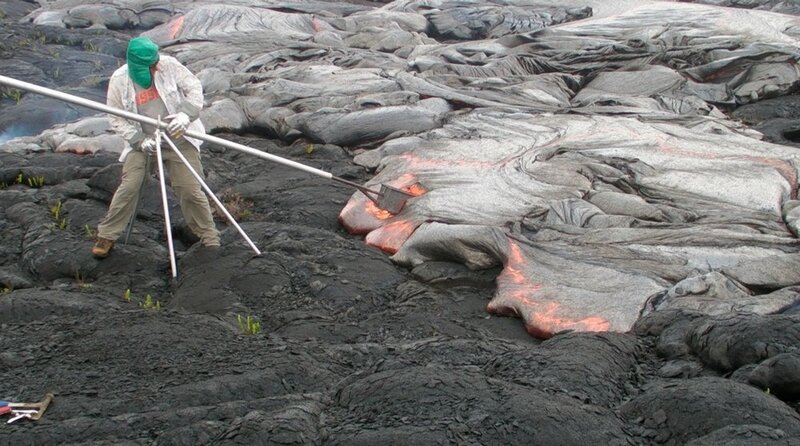 Gerry assisting Danny with casting lava on Kilauea Volcano, Hawaii, 2012. Danny opening stomach mould. Hawaii 2012. 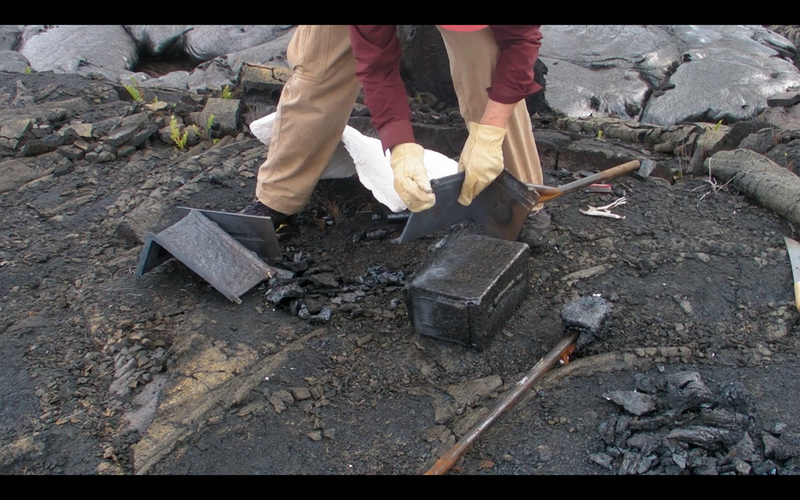 Danny opening ammo box mould, Hawaii 2012. 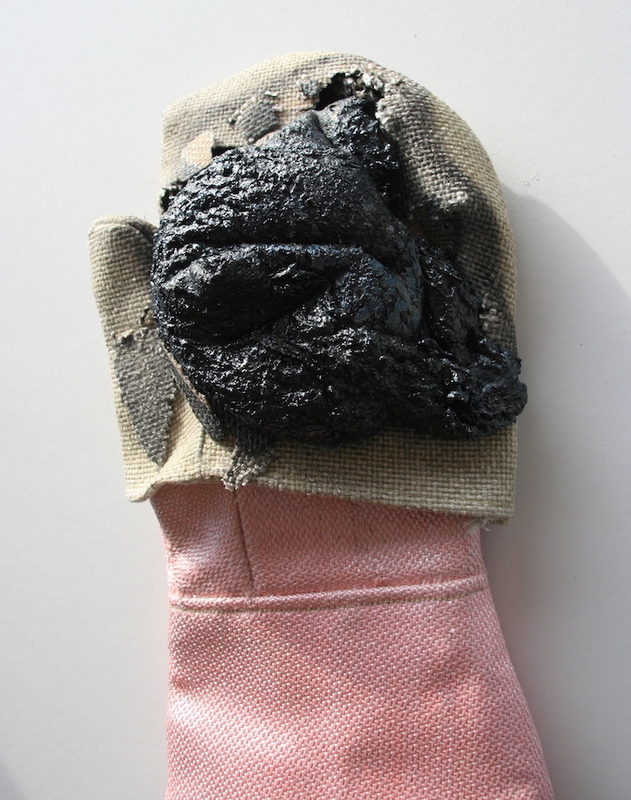 Bowler Hat, cast lava, 16 x 28 x 34cms. 2015. Babies bottles and spare teats, cast lava. each 19 x 5.5 x 5.5cms. 2015. 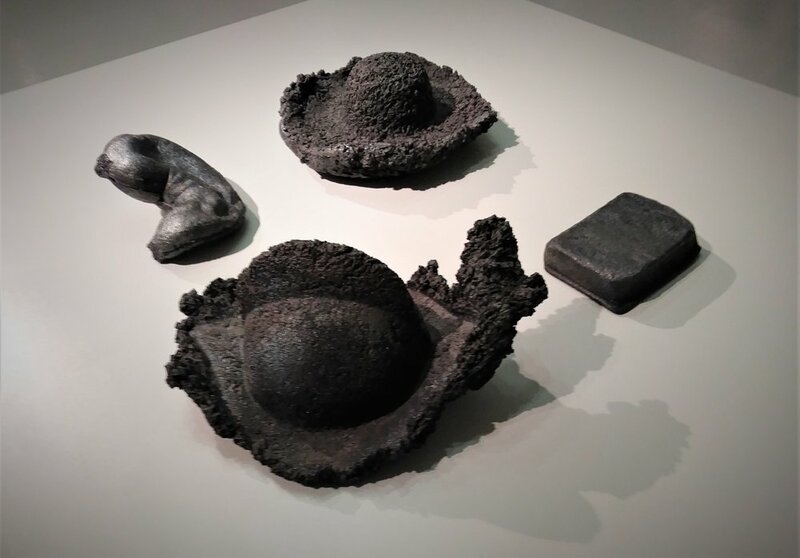 Bible, cast lava, 22 x 15 x 6cms. 2017. Mitt forming hot lava, 2017.